Post-Election: Thanks, Tears, and What Year Are the Lib Dems In Now (A Clue: 2015)? Only the Liberal Democrats, hardened by a hundred years of losing and buoyed by an inextinguishable hope in Liberalism, could follow an ‘extinction event’ election by gaining more than eleven thousand new members in less than a week. Welcome, all of you! You might like to look at Liberal Democrat Voice’s New Members Day (new voices, recommended reading and party essentials). You help remind us all that for all the talk of historical precedents, the year we’re in is 2015. But tonight I’m still looking back with a sense of history and with thanks to so many Lib Dem MPs. I’ve been writing my post-election thoughts throughout this week. Regular readers will be unsurprised to know that the article’s been getting longer and longer – and may well split into a series of about half a dozen. But in case I don’t have the energy to write them all, there’s something I want to make sure I say. I’ve read a ton of historical comparisons over the last few days – some glib, some persuasive. But while there’s much to learn from history, we do need to remember that this is 2015, not any other year, and that the way back to wilderness or revival is not predestined. On the face of it, this seems most like 1970 in our share of seats and votes – 7.5%, down to 6 MPs, a surprise Tory victory – which would ‘put us back’ to before I was born. Those losses were followed by new ideas and something of a comeback at the next general election; I hope for new ideas, too, and though ‘Let’s dig out our answers from 1970!’ doubtless has some merit, I hope most of our answers this time are going to be a bit fresher. Right now, I’ve been distracted from writing about what we might learn simply by how terrible it feels. I know and admire quite a few Lib Dems who’ve suddenly lost their seats. I can’t help wondering if, whatever year is the more precise statistical match, this feels more like the 1920s – when a much larger group of Liberal MPs with great records in government were suddenly hewn down. I remember when the Coalition was formed five years ago, one of our Peers telling me that at his first Liberal Assembly, in Llandudno in about 1956, he’d been introduced to an elderly man with an ear trumpet who had been a Liberal Minister in our government of what is now a century ago – and that he still couldn’t quite believe that now, though it had only come when he’d got that old himself, he was walking around Liberal Democrat Conference seeing new Liberal Democrat Ministers again… Even if it had to be another coalition with the Tories, which hadn’t ended so well in the 1920s. On the bright side, we come out of this one battered but surprisingly united, rather than with two rival Leaders waging war on each other. And those were the two pretty good rival Leaders. I joined the Liberal Democrats when we were founded in 1988, just after we’d had two pretty bad rival Leaders waging war on each other, and in elections the following year we crashed to 4% and won no seats at all. If you want two hopeful signs for the future, signs that we are now in neither the 1920s nor the 1980s, not only is our membership rocketing rather than falling through the floor after this year’s defeat, but we are also not split down the middle, which helps. The Conservatives’ mean authoritarianism will not have an easy ride. “It’s been a privilege, a huge privilege, an unlimited honour, to lead a party of the most resilient, courageous, and remarkable people. The Liberal Democrats are a family and I will always be extremely proud of the warmth, good grace, and good humour which our political family has shown through the ups and downs of recent years. I want to thank every member, ever campaigner, every councillor, and every parliamentarian for the commitment you have shown to our country and to our party. “It is simply heartbreaking to see so many friends and colleagues who have served their constituents so diligently over so many years abruptly lose their seats because of forces entirely beyond their control. “In 2007 after a night of disappointing election results for our party in Edinburgh, Alex Cole Hamilton said this: if his defeat was part-payment for the ending of child detention, then he accepted it with all his heart. “Those words revealed a selfless dignity which is very rare in politics but common amongst Liberal Democrats. If our losses today are part payment for every family that is more secure because of a job we helped to create, every person with depression who is treated with a compassion they deserve, every child who does a little better in school, every apprentice with a long and rewarding career to look forward to, every gay couple who know that their love is worth no less than anyone else’s and every pensioner with a little more freedom and dignity in retirement then I hope at least our losses can be endured with a little selfless dignity too. “We will never know how many lives we changed for the better because we had the courage to step up at a time of crisis. But we have done something that cannot be undone because there can be no doubt that we leave government with Britain a far stronger, fairer, greener, and more liberal country than it was five years ago. “Fear and grievance have won, Liberalism has lost. But it is more precious than ever and we must keep fighting for it. That is both the great challenge and the great cause that my successor will have to face. I will always give my unstinting support for all those who continue to keep the flame of British Liberalism alive. Thank you, Nick. And never-ending gratitude to Lynne, too, in particular. 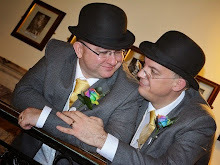 Many people in our party and beyond made a difference, but the unstinting efforts of Nick and Lynne above all made it possible for Richard and me to marry, after twenty years of waiting through Tory and Labour Governments that made us second-class citizens. We will never forget and never regret that. And I will miss other former MPs I admire for their Liberalism, for their achievements, and in several cases for their friendship. I will keenly miss Stephen, and Stephen, and Danny, and Simon, and Julian, and too many others. I believe both Norman and Tim have much to recommend them as potential Leaders, but I hope it’s not too discourteous to say that one of the results that left me most distraught would have been my first choice for Leader, Jo Swinson. She so terribly nearly held on (with the lowest fall in her vote of any Lib Dem in the country, an example of the difference between someone who’s always worked hard and the bewildered ‘ultra-safe’ Labour MPs all around her who’d never had to do a day’s work for their seats and were buried under sudden avalanches). I hope she’ll be back, and that open-hearted Liberalism will rise over narrow-minded nationalism. Among the most damaging mass results of last Thursday – along with our extermination across the South-West – is that all our surviving MPs are now white, cis, straight men. Do not blame any of them for this. They’ll have enough to cope with. And there’s no simple answer. We had women MPs; we selected women in most of our seats where the sitting MP was standing down. We didn’t hold any of them. The Labour Party in particular will be as ruthless in attacking us for the voters’ choices as they were in pouring in resources to defeat Lynne Featherstone – choosing to let marginal Tory MPs off the hook to make sure that they cynically brought down Lib Dem women. I will offer ideas of what might help for the future. But for today, I simply ask you to be kind to Lib Dem MPs (and staff) who’ve lost their seats if you meet them, and to be even more kind to the eight Liberal Democrats who won. Because all of them suddenly have so much more work to do. Does any Liberal Democrat with computer graphics skills fancy redrawing the Bird of Liberty for this week? I’ve got two ideas for you. “Our symbol, the Bird of Liberty, is also our phoenix. Since midnight last night to teatime today more than 650 people have joined the party on our website. The phoenix is already rising from the ashes of last night’s elections. Since the General Election, over five thousand new members have joined the party, bringing us to more than 50,000 members. I’ll probably have quite a bit to say about our future over the next few days. 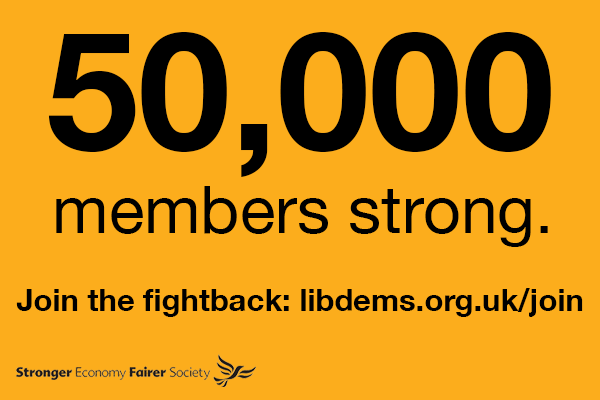 You can join here – and see why I believe the Liberal Democrats are needed here. In the meantime, why not redraw the Bird of Liberty as our symbol of defiant renewal this week? Don’t its flowing wings just invite matching CGI flames in the same style? And our colours are black and gold anyway, which are perfect for a flaming symbol. Or, in the tradition of phoenix art, the Phoenix of Liberty (with slightly more upsoaring wings) surrounded by flame? Come on, somebody, have a go. In other news, Wil Wilshere of politicsandrants Tumblr and a few more in Liberal Youth have started a Thunderclap called #OperationPhoenix, set for next Friday. You can read more about it here. Update: Or there are these, which are prettier. My answer to that and three questions behind it – what have we done so far? What do we want to do next? And, most importantly for me, what values inspire us to do it? This is the sort of thing I do if it’s the day before an election, I’m on my way home, my head is buzzing with politics and I come upon an unsuspecting park. I may be making it up on the spot this time, but you know it’s in my heart too (and a quickie because I’m too knackered to write what I’d like to). The full Liberal Democrat Manifesto – Stronger Economy. Fairer Society. Opportunity for Everyone.